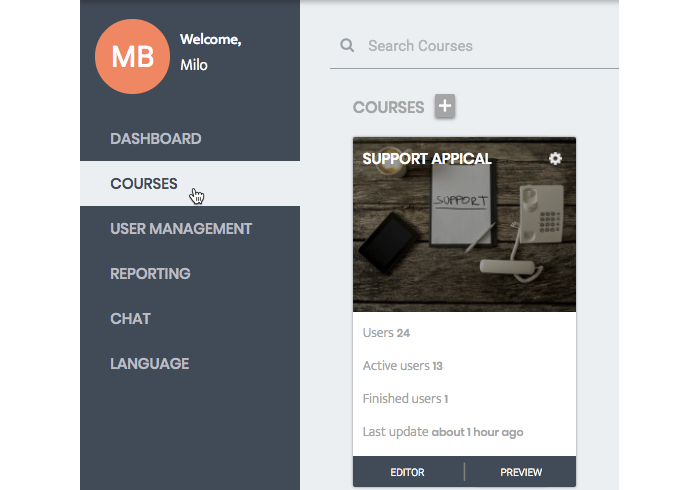 In this tutorial you will learn how to add an assign page. Assign pages are very useful to test whether users can assign a fact or statement to the correct option. For example, a user can assign the songs of Michael Jackson and Prince to the right artist. 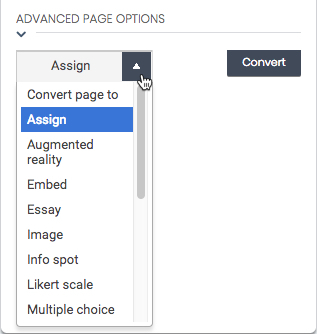 There are only two options available to choose from with assign pages. Step 6. Choose ‘Assign' in the menu on the left and click on the button that says ‘Add page’ in the bottom right corner. Step 8. 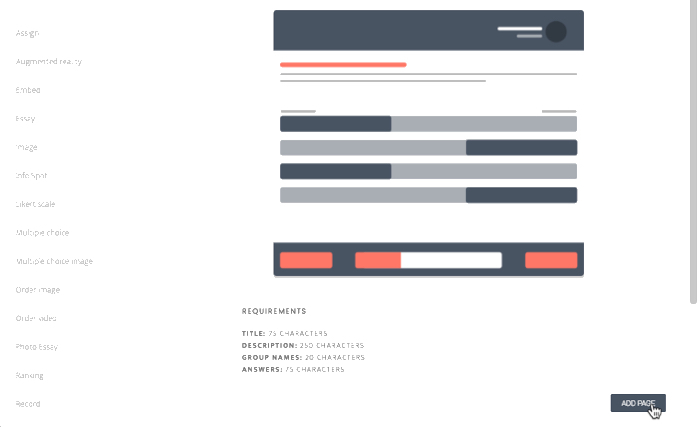 Give your new Assign page a name. Click here for a guide on choosing a good name for your page. Pages are set to ‘live’ by default but can be set to draft. Draft pages can be very helpful when you’re working on a page while new hires are already using AppicalNow. Click on 'Live' and select 'Draft' to change te setting. Step 10. The groups where users can assign an answer to are named 'Group 1' and Group 2' by default. Click on the text field and change it into your desired name/title. Step 11. To create answers, simply click on 'Add Answer' and type your answer/description in the text field. After typing the answer, drag the answer to the right category. You can delete answers by clicking the little trash bin-icon on the upper-right-side of the box. There is a maximum of 5 answers for this page. Step 12. The text that you type at 'Correct Explanation' will show up after a user answered the question correctly. The text at Incorrect Explanation will be shown after a user answered a question incorrectly. Step 13. If a user clicks on the info button at this page they will see the text that you write in the text field underneath 'Info Button'. Use this to give the users more information on the question or the subject. Step 14. At Page Options you are able to configure answer settings and advanced settings. If you click on ‘Answer Settings’ a drop down menu will show 4 options. The first option gives you the ability to set the importance (weight) of this question. The higher the number, the more impact this question will have on the final score of this user. If you select the checkbox at ‘Provide Feedback’ the user will receive feedback after this question. If not, the user will proceed to the next question without feedback. If you select the checkbox at ‘Neutral Answer’ the user will not receive a note that the answer is correct or incorrect.They will receive a neutral version instead. If you select the checkbox at ‘Mandatory Correct Answer’ the user can’t proceed to the the next question until this question is answered correctly. Step 15. At 'Advance Page Option's you can convert your page into another page type. It will keep the fields that are used in the converted page (Title, Explanation, Correct/Incorrect Feedback and Info Button). You will need to fill in the answer options again. Awesome! You now know how to add an Assign page!